The phase is launched. Contact us for detail. 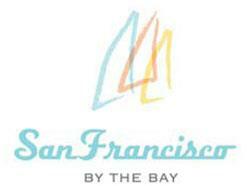 San Francisco By the Bay Condos offers authentic waterside living in an ambiance of elegance and convenience. Featuring two beautifully designed high rise towers connected by a convenient retail-commercial complex, the community also offers stately three-storey townhomes. The neighbourhood is set amid two magnificent acres of lush green parkland and features a state-of-the art recreational complex designed with every conceivable amenity. Just steps from the marina on Frenchman‘s Bay in Pickering, San Francisco By The Bay is the ideal choice for active lifestyles. Here, just steps from the Lake Ontario Waterfront Trail, luxury abounds in every detail from the suite designs, to the magnificent finishing selection offered, to the fabulous amenity complex, to the convenience of marine-side living. Life at San Francisco By the Bay Condos is infused with charm and grace at every turn. Ideally located on the shores of Frenchman’s Bay within sight of the marina and downtown Picketing, San Francisco By The Bay Condos offers the perfect balance between urban and lakeside living. Close to the soccer fields and playgrounds of Douglas Park and just a short drive to Mill– Square, San Francisco By The Bay Condos is the perfect place for everyone! Chestnuthill Home’s San Francisco by the Bay condo development is a mix of condo 2 condo towers, townhomes and retail space in Pickering. The community will also have 2 acres of parkland and its own recreational complex. San Francisco by the Bay is located near Pickering’s Frenchman’s Bay. This gives easy access to Highway 401, as well as Lake Ontario‘s waterfront trails. With all of this, San Francisco by the Bay should provide plenty to do for active residents. All materials and other selections for which the Purchaser is entitled to make a selection are to be chosen from Vendor’s standard samples and are as per Vendor’s specification, which are subject to change from time to time. PARTY ROOM WITH KITCHEN OPENING TO A FABULOUS OUTDOOR BARBECUE TERRACE.